​ សម្រាប់ព័ត៌មានបន្ថែមអំពីការជំនុំជម្រះ និង ឯកសារសម្រាប់សិក្សាបន្ថែមលើសំណុំរឿង០០២/០១ សូម មេត្តាស្វែងរកនៅក្នុងគេហ​ទំព័រ​របស់​អ្នកឃ្លាំមើលសាលាក្តីខ្មែក្រហម តាមរយៈ krtmonitor.org ឬតាមរយៈ ធ្វីតធើ (@KRT_Monitor) និង KRT Trial Monitor ក្នុង​ហ្វេស​ប៊ុក (Facebook)។ សូមអរគុណ! 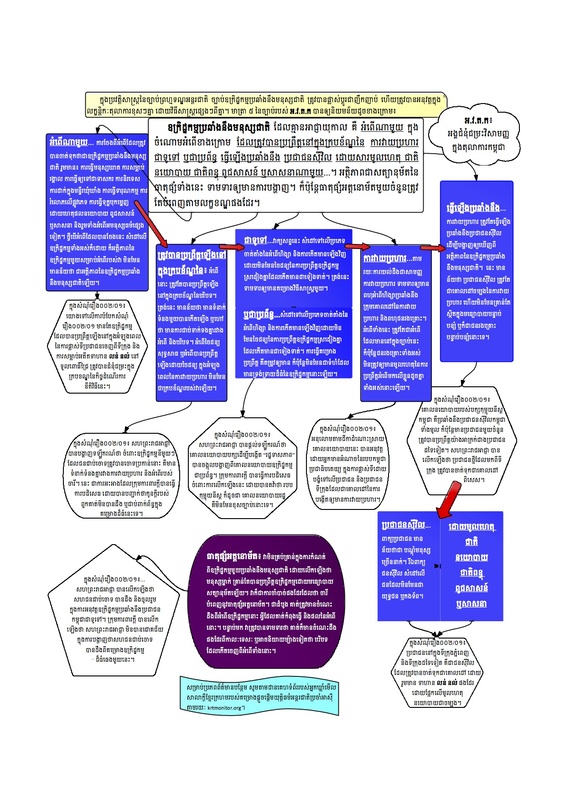 AIJI presents a general flowchart concerning the charge of Crimes against Humanity as it relates to Case 002/01. 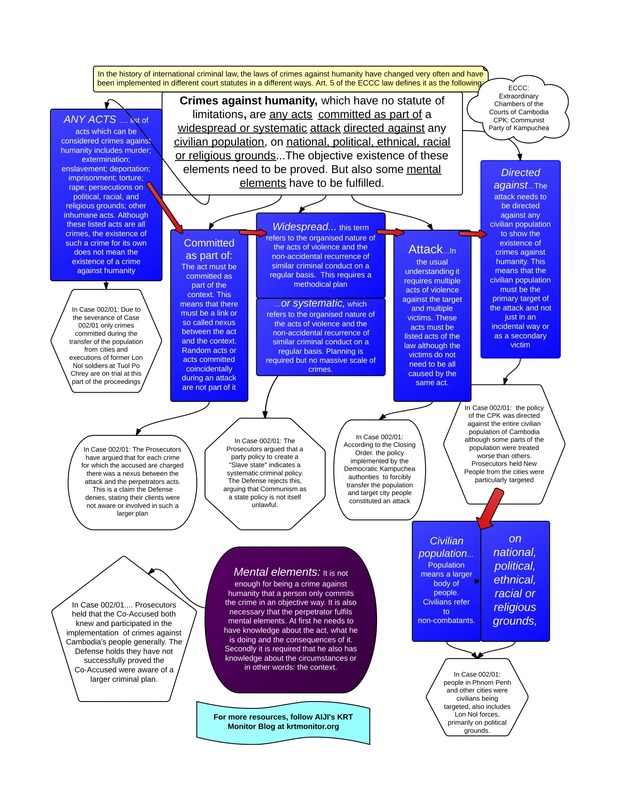 The flowchart details each element of the Crimes against Humanity such as objective and mental elements, connecting these elements with their implications in this case. For further information on the trial or additional learning tools on issues related to Case 002/01, review our blog, find us on Facebook, follow us on Twitter (@KRT_Monitor). Thank you!